4 The Office offers Government Accounts a variety contracts to choose from when procuring office equipment. We are proud to be an Authorized Partner for Xerox, Sharp and HP serving Federal, State and Local Governments, Schools and Municipalities. When it comes to purchasing from a Government Contract we can offer your organization piece of mind, local support and local service. 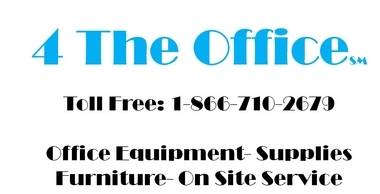 4 The Office is an approved vendor on the Pennsyvania COSTARS Contract #001-053. We offer a full line of copiers, printers and multifunction devices. We encourage intersted parties to contact us to discuss this contract in further detail. COSTARS is the Commonwealth of Pennsylvania's cooperative purchasing program and serves as a conduit through which registered and eligible local public procurement units (LPPU's) and state-affiliated entities (Members) are able to leveragecontracts established by DGS to cost effectively and efficiently identify suppliers with whom to do business. Since the invention of Xerography 75 years ago, the people of Xerox have helped businesses simplify the way work gets done. Today, they are the global leader in business process and document management, helping people be more efficient so they can focus on their real business. Headquartered in Norwalk, Conn., more than 140,000 Xerox employees serve clients in 160 countries, providing business services, printing equipment and software for commercial and government organizations. We are also a Xerox Authorized Service Provider and Certified Print Services Provider. 4 The Office offers the complete line of Xerox copiers and printers on our COSTARS Contract. If you are a Local Government, School, Church or Non Profit Organization be sure to ask us about Sharp’s exclusive national contract with NJPA. The Sharp NJPA Contract is formally bid to save your organization valuable time, expense and effort while offering the very best national published contract pricing. HP offers several different IT Hardware Solutions for K12, Higher Education, Local Government and COSTARS Members including PC's, Laptops, Printers, Wide Format Printers, Servers, Switches, Storage Solutions and more.